If there are two hot new tech trends that make their users look colossally dumb, they're virtual reality and selfie sticks. At its F8 developer conference today, Facebook showed how the two can be brought together in an unholy marriage. Facebook CTO Mike Schroepfer showed off a demo using the Oculus Rift and its touch controller that let him share a VR space with someone at Facebook's campus. While there, they explored several 360-degree photos from London, before arriving in front of Big Ben. 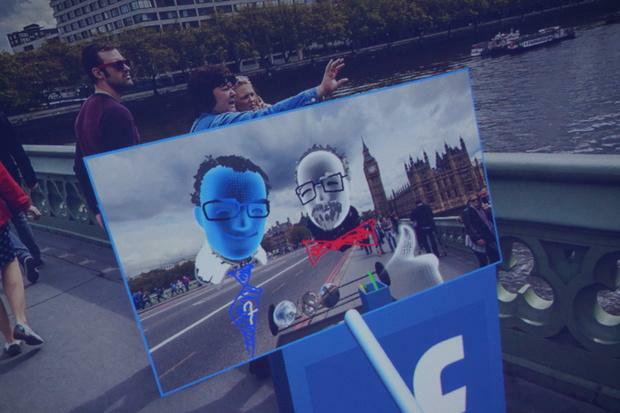 That's where Schroepfer said that he wanted a selfie with the famous clocktower, and his companion produced a virtual reality selfie stick that showed the two a reflection of their avatars along with the photo of Big Ben behind them. After shooting a few VR selfies, Schroepfer was able to upload the picture to his Facebook wall by dropping it into a virtual mailbox. The demo shows how social networking might work in virtual reality -- and why Facebook was interested in buying Oculus in the first place. What remains to be seen is when this experience will make its way out to users. Right now, though, the Oculus Touch controllers used for the demo aren't available, and Facebook hasn't announced a launch date for them either. 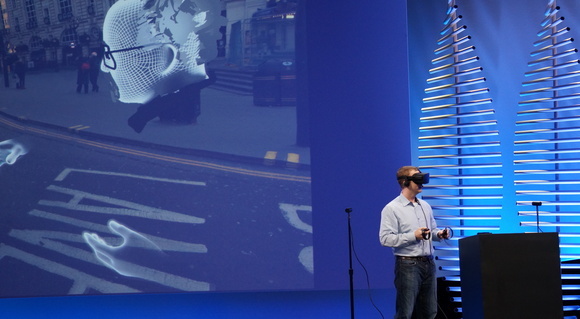 But beware: VR selfies are coming.